If it’s winter, it must be Gstaad. For many years now, Mr. Valentino has been a regular presence in this picturesque Swiss village nestled in the Alps. 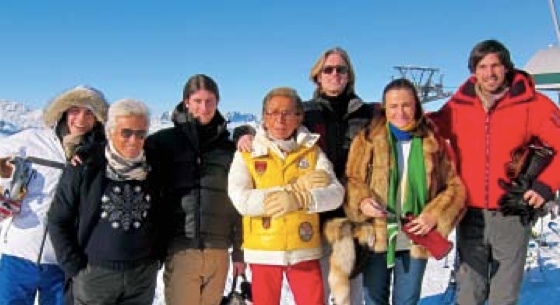 Skiing is one of Mr. Valentino’s pastimes here; so too, entertaining friends such as Anne Hathaway and Madonna at his home, Chalet Gifferhorn. He’s also been known to make an appearance at the legendary Gstaad Palace Hotel, built in 1913 and the site of Gstaad’s seminal late night haunt, the GreenGo, which has been drawing luminaries and high-rollers since it opened in 1970. Gstaad is known for luxury, and with good reason. Its village promenade is packed with fine jewelry stores, art galleries and designer fashion shops. The famous—and famously expensive—Swiss boarding schools Institute Le Rosey and Gstaad International School are located in the area. And longtime residents of the town include magnates such as the Alinghi yachting boss Ernesto Bertarelli and Formula One owner Bernie Ecclestone. 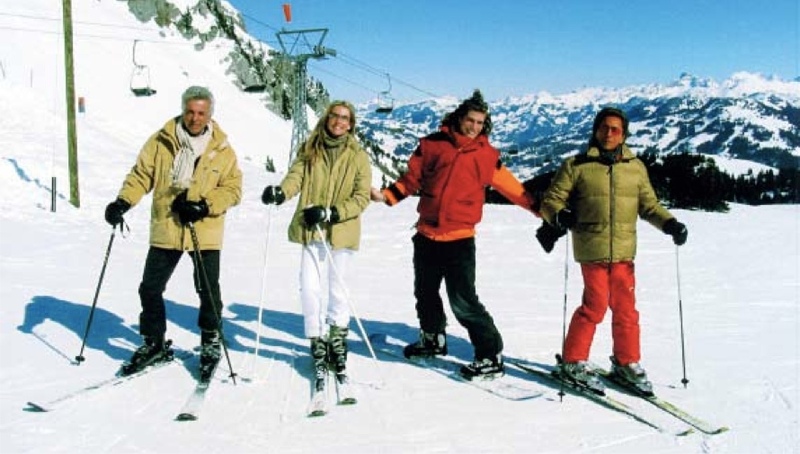 Other notables known to have frequented Gstaad include George Soros, Jeanne Moreau, Elizabeth Taylor, Prince Rainier and Grace Kelly, Prince Charles and Princess Diana. In the 1950s, violinist Yehudi Menuhin settled in Gstaad with his family, and established the Menuhin Festival Gstaad, an annual music festival. What accounts for Gstaad’s appeal? Many visitors come for the slopes: The Gstaad area is home to numerous ski resorts, with one long mountain run—the Gstaad-Eggli—having its base right in the center of town. A little ways over, at Wasserngrat, you can grab a very Swiss lunch of mountaintop fondue, then schuss right back into town. A little farther out, the resort Glacier 3000 features an ice cave and toboggan rides, as well as some of the best skiing in the area. And if a gondola ride up the mountainside doesn’t get you high enough, fear not: Gstaad is a world capital for hot air ballooning. Join in a ride yourself, or take in the view of the balloon-filled skies: During the last week of every Janyary, the International Balloon Festival in Chateau d’Oex draws balloonists worldwide.